I just came across an excellent website called Untold London. The website explores the histories that relate to all the people of London as they are told in museums, galleries, archives and community heritage organisations. The information that is left out or often ignored adds a layer of reality to the stories of the past that, if known, would help us to better relate to and understand the present. The website is run in collaboration between a number of organisations with experience in the London history and heritage sector, and managed by the London Museums Hub. The website does not only cover LGBT history and issues, however. This website collates information from all under-represented groups. The lead news article is about London’s new Jewish Museum, set to bring together an impressive collection held at two locations into one new museum opening in Spring 2010 in Camden Town. Related articles cover the history of Yemen and British Yemenis and the Austrian Cultural Forum. On a related note, a gay tourist office has recently opened in Soho. 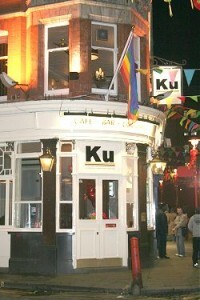 The Gay Tourist Board, located at 30 Lisle Street, London WC2H 7BA (above Ku Bar), will serve as a hub for both LGBT residents of London as well as for the large number of gay and lesbian tourists to the capital. Follow the Gay Tourist Office on Twitter and be a fan on Facebook or visit the website at http://www.gaytouristoffice.co.uk.